EXXONMOBIL PNG aims to begin construction on new production facilities come New Year and mobilisation around mid-2017. Managing director Andrew Barry said Exxon has continued to invest in foundation project infrastructure which a new wellpad built and connected to the spineline feeding into the Hides Gas conditioning plant. He said at the Mining and Petroleum Conference in Sydney that they also had another challenging incline for the pipeline to traverse and expect production to commence shortly, following mechanical and pressure testing. He said Exxon has also significantly advanced work to tie the Angore field into the production facilities following drilling of two wells last year. The project involves a new wellpad and 15 kilometre pipeline to connect theAngore field to the Hides Gas conditioning plant. “Some equipment for both projects has been flown into Komo airfield on board Aleutian aircraft. 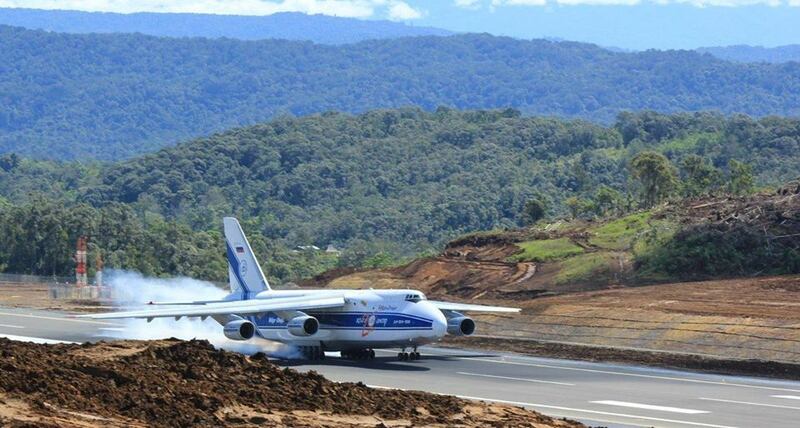 While slightly smaller than the Antonovs used during construction, they are still a very impressive sight landing in the Highlands of PNG,” he said. Mr Barry said ExxonMobil’s exploration team and licence co-ventures have invested more than K2 billion in exploration since 2010. “We are continuing to work with the government on the petroleum development license and associated pipeline licenses for the P’nyang field. Future work plans include a potential well to further define the resource. This work will help enable us to make an informed decision about how best to proceed toward front-end engineering and design,” he said. He added that Exxon also have plans for seismic in three petroleum prospecting licenses offshore in the Gulf of Papua. ExxonMobil is the operator of the licences under various joint ventures. The licenses are located approximately 150-200 kilometres offshore southern Papua New Guinea in water depths averaging more than 1,500 meters. “This will be our first venture into offshore exploration in PNG but with a wealth of global experience in seismic collection and analysis and deep-water drilling, we are very excited about the offshore potential. Last year we completed a seismic data acquisition program covering more than 100 kilometers around the Juha and Hides fields in the Southern Highlands, which once analysed, we hope will lead to future drilling programs,” he said.